Whenever the UK experiences its first fleeting days of genuine spring, I notice a shift in behaviour. Demeanours soften, words are less parsimonious, and the streets (at least if you use London as a measure) more open and engaging. Your author is not a sociologist but I suspect this is a simple side effect of the fact that summers in the UK are short, and not nearly as warm as other parts of Europe. Therefore when it does happen, Britons take advantage of it. However, this isn’t very important here. What is important is that in the UK, spring means sun, and sun means rosé. It is difficult to pinpoint the relationship between sunny weather and rosé from a historical perspective, but it is telling that the most prolific producers of the most popular rosé wine are all in areas with hot climates. Most evidence points to the fact that wine which was produced in what was Roman and Greek territory, was a sort of rosé. This was primarily because winemakers would press white and red grapes together, with limited or no maceration. Modern rosé only started forming in the sixteenth and seventeenth centuries when winemaking methods enabled a more sophisticated means of separating grapes from skins, which gave them a much greater control over maceration. Rosé’s modern popularity began in the 1970s in California, where a glut in Zinfandel grape led winemakers to create “White Zinfandel” and later “Cabernet Blush”. These wines were a very bright pink and semi-sweet, and these days are rightly put on the bottom of the shelf. However, despite the fact that rosé was being made in Provence and the surrounding regions for centuries, the surge in popularity in California created a new market for rosé in general. 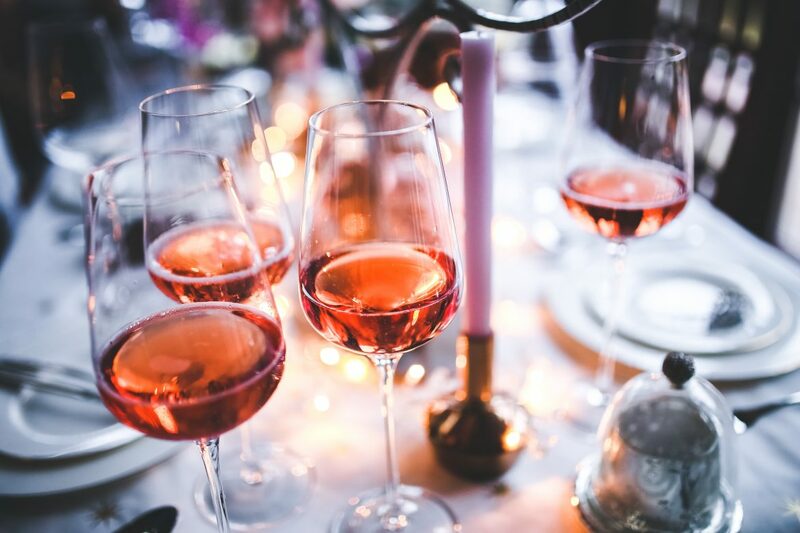 It isn’t clear when dry, Provençal style rosés became the popular norm, but I speculate (in the case of the UK) as wealthy individuals travelled between the UK and southern France during the summer, they eventually brought back a taste for dry rosé wine. Provence is for all intents and purposes the king-region of rosé wines. There is an assumed orthodoxy that the paler the rosé wine is, the higher quality or better the wine is. This in many ways is a result of the sickly-sweet and cheap quality of the “blush” wines, but, suffice to say, there are exceptions. Although I prefer paler rosés, there are numerous regions and countries that lend themselves to darker types. One for example is Tavel AOC, at the southern end of the Rhone Valley, just next to Provence. Tavel is very dark compared to most southern French rosé, as producers keep the must (the juice from pressed grapes) in contact with the skins for a much longer period. This produces the darker colour, much bigger tannins, and a higher alcohol content (up to 13.5%). This in turns means that unlike most rosé, they can be aged for a few years. Add in the fact that Tavel is a tiny region, and the prices are often very inflated. My personal preference is for Bandol rosé, which is much more classically Provençal in its style. The Bandol AOC sits in the south-western coast of Provence. In my opinion, Bandol stands out from other Provençal rosés as the dominant grape (like all Bandol wine) is Mouvedre, which creates a bigger profile while maintaining the dry, pale characteristics of the Provence style. Provence is, of course, not the only source of rosé, however, it is arguably the source of most of the quality ones available. In the US, after the godforsaken White Zinfandel days gave way to more sophisticated tastes, winemakers started playing with Pinot Noir to make drier rosé reminiscent of that found in France. Pinot Noir (an infamously finnicky grape) tends to be much more common in stable or relatively temperate environments, which is why it’s found all through the west coast of the US. There are options too across Europe, the most popular behind France being Italy and Spain. 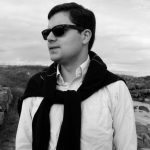 For my personal tastes, I haven’t ever tried one I thought particularly good (though, that doesn’t mean there aren’t any) and my one experience with Portuguese rosé at Gordon’s in London left a lot to be desired. Whatever your style and whatever your preference though, you will be sure to find plenty of rosé at almost every supermarket, bottle shop, and everything in-between for the next three months. There has never been a rosé shortage, but with weather like this, I wouldn’t take the chance.